Judy Campbell was educated at the University of Melbourne. 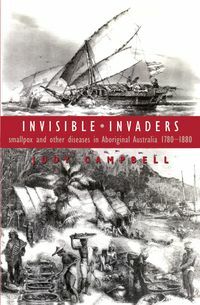 After travelling in the United States and Mexico, where smallpox destroyed the Aztec Empire, she taught in the Department of History at the Australian National University. During that period she researched and began writing about Aboriginal smallpox, and has since continued this work privately. She is the author of Invisible Invaders.